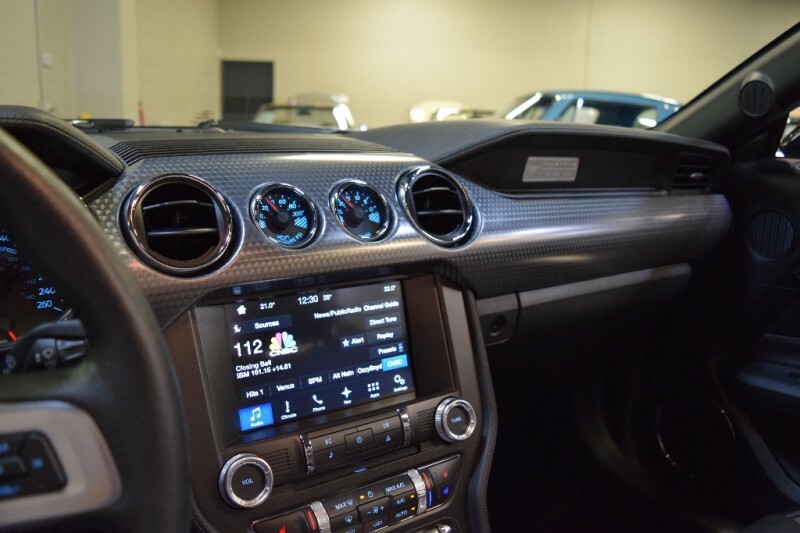 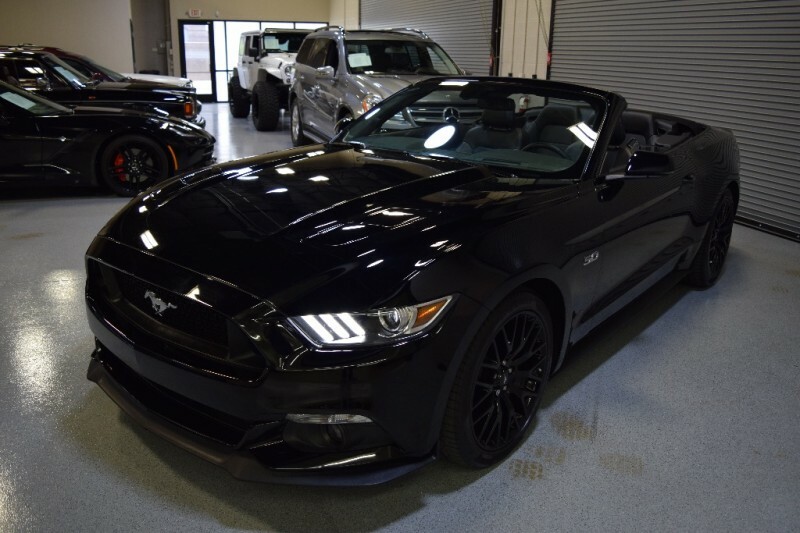 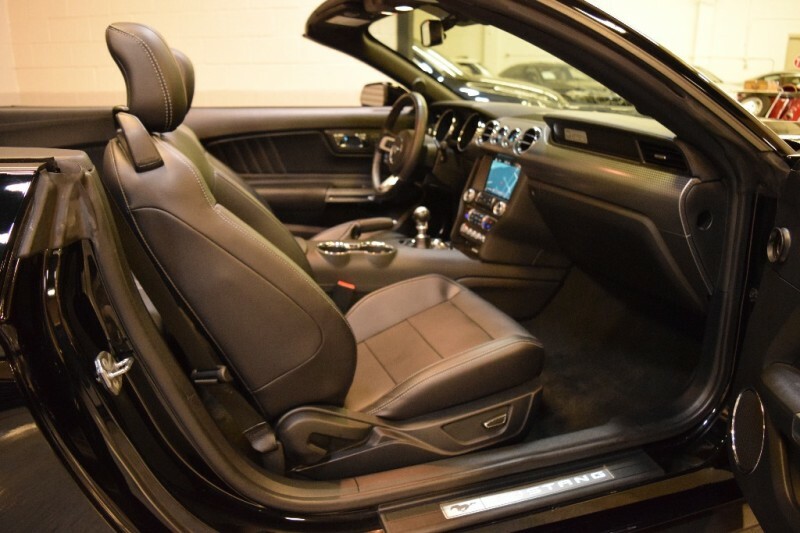 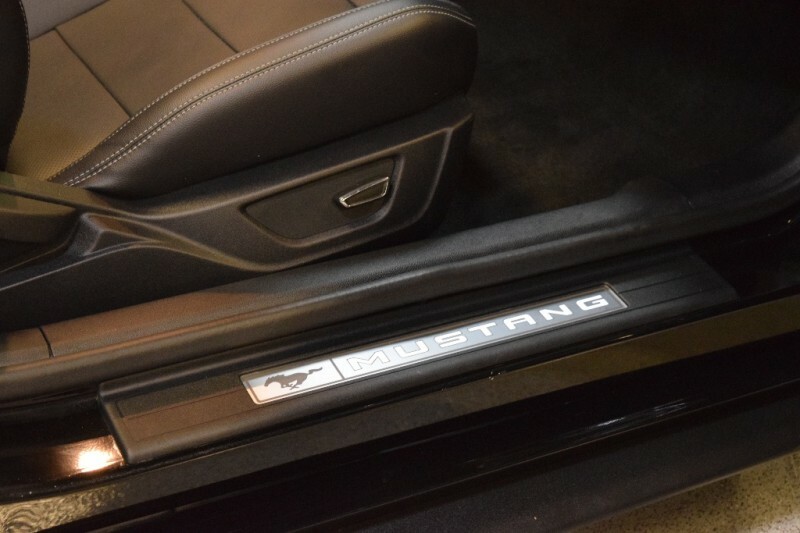 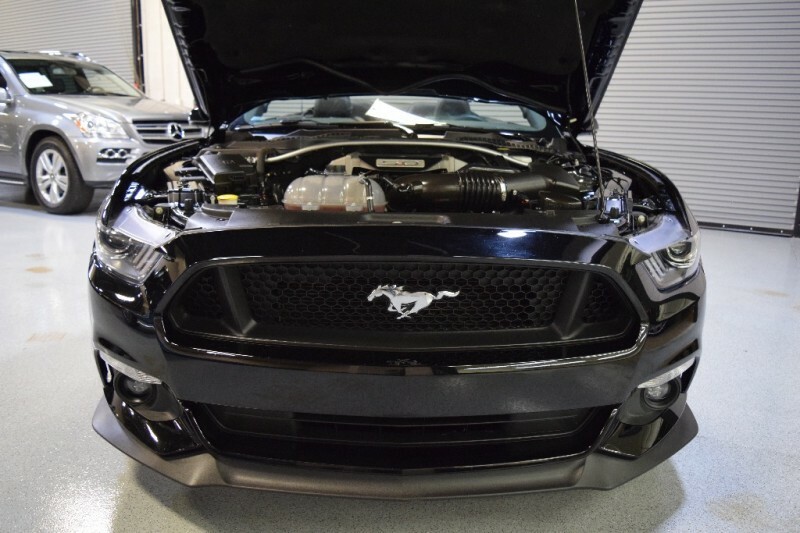 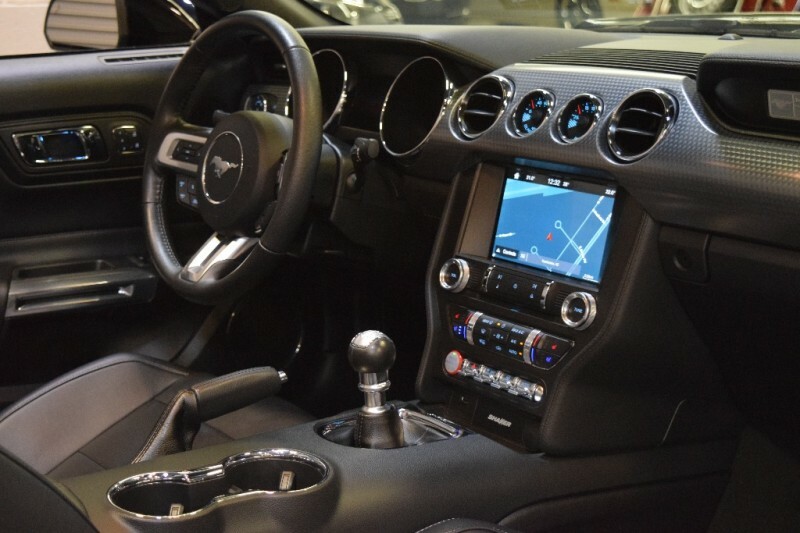 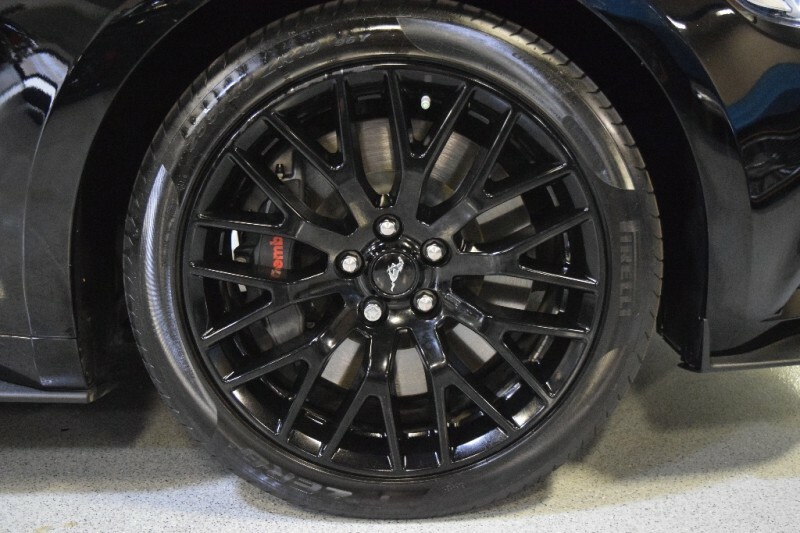 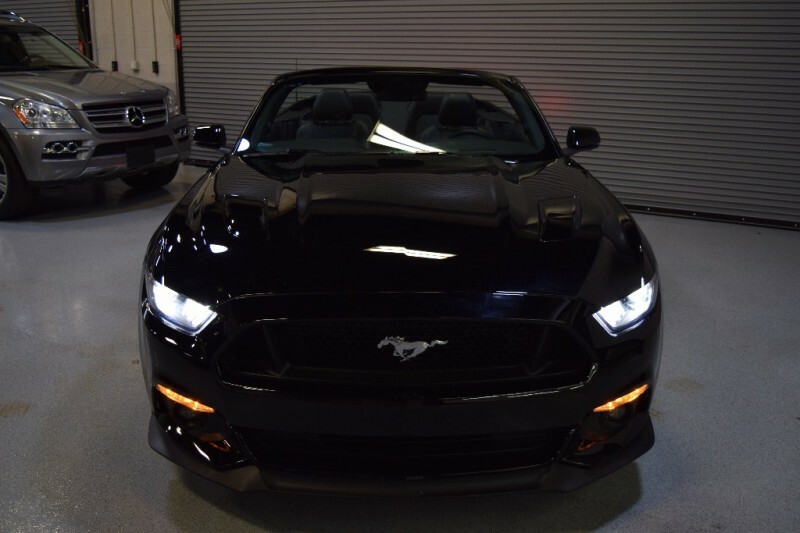 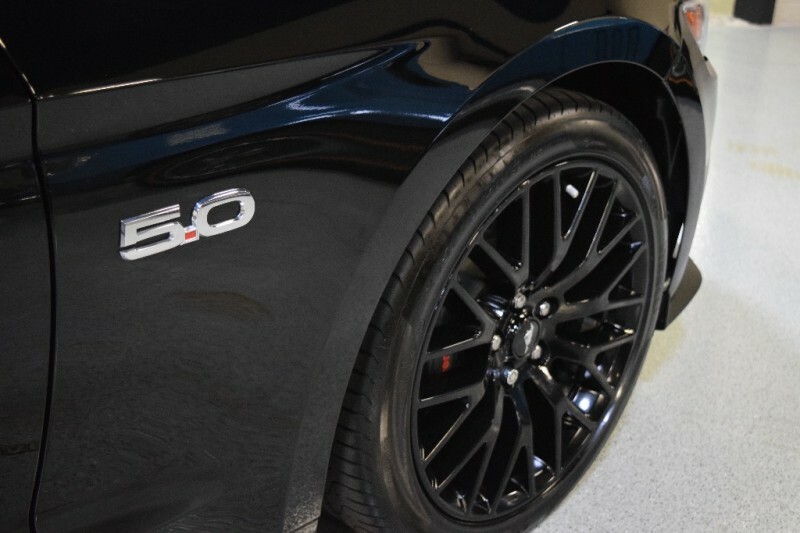 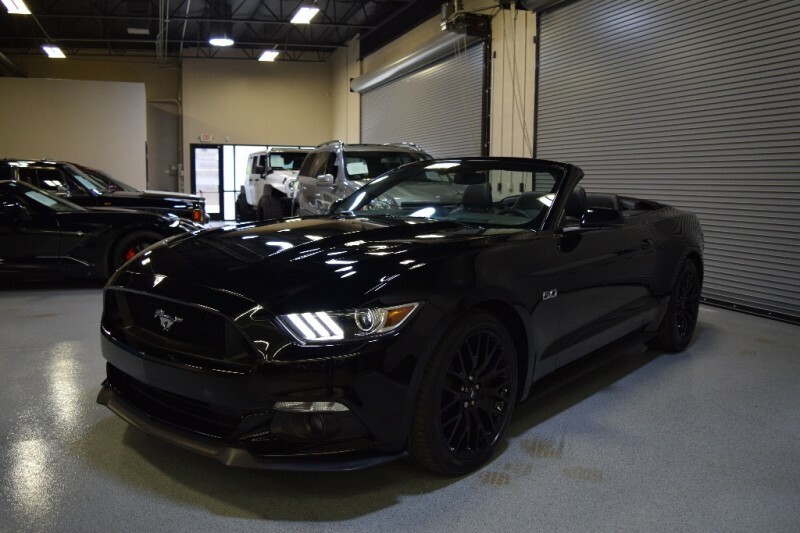 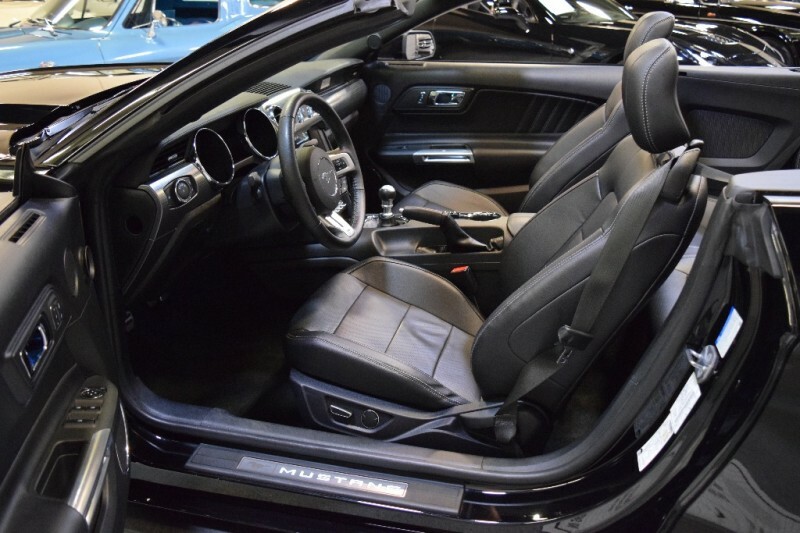 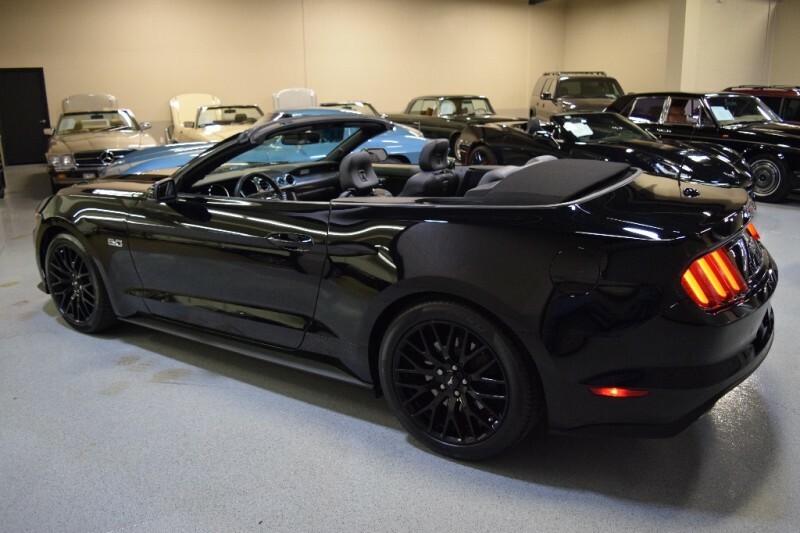 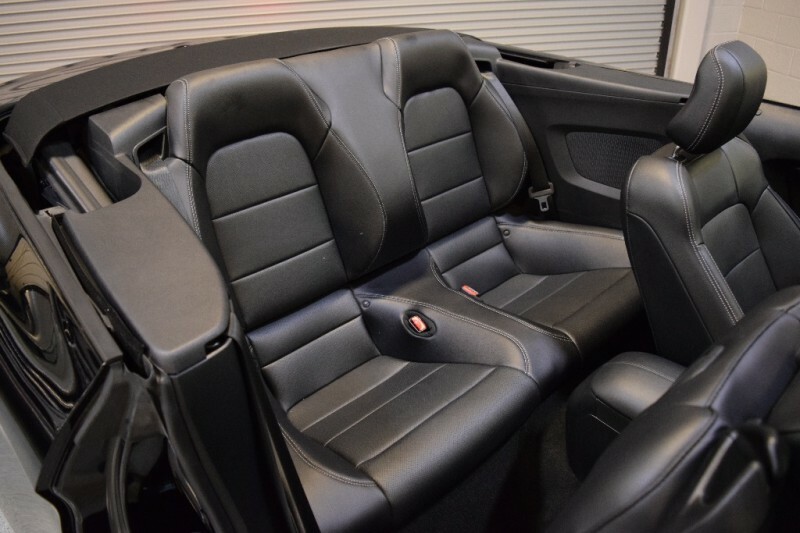 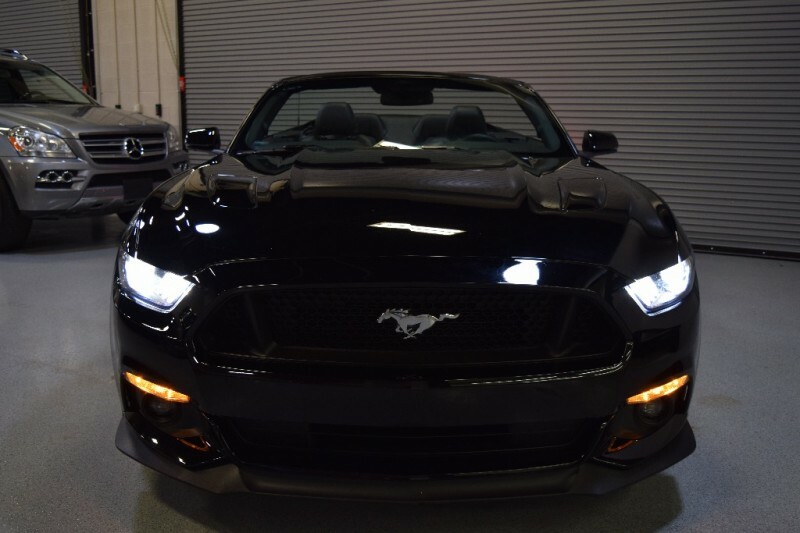 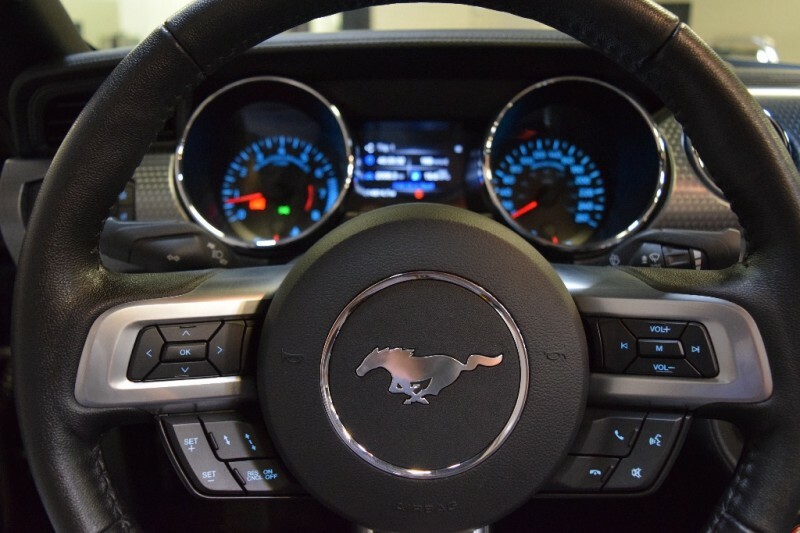 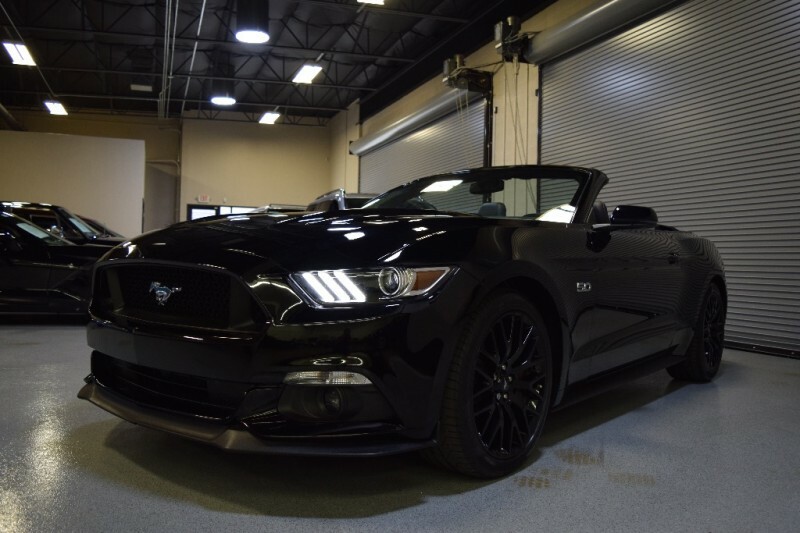 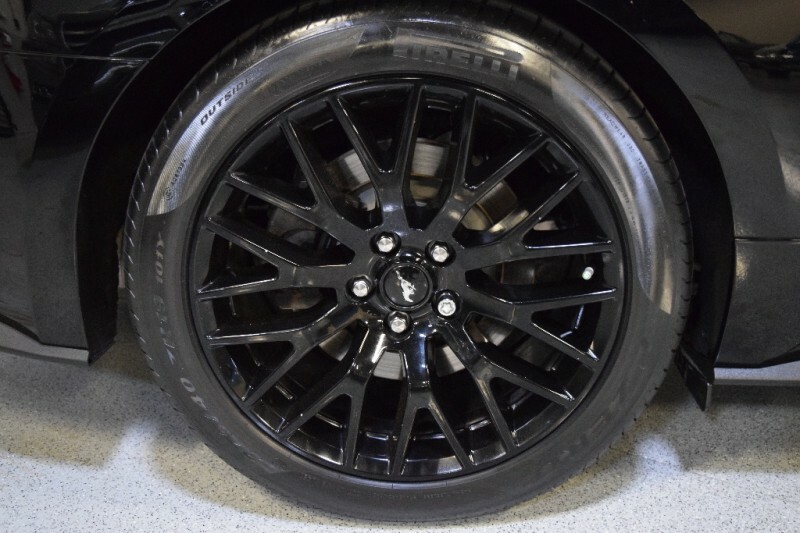 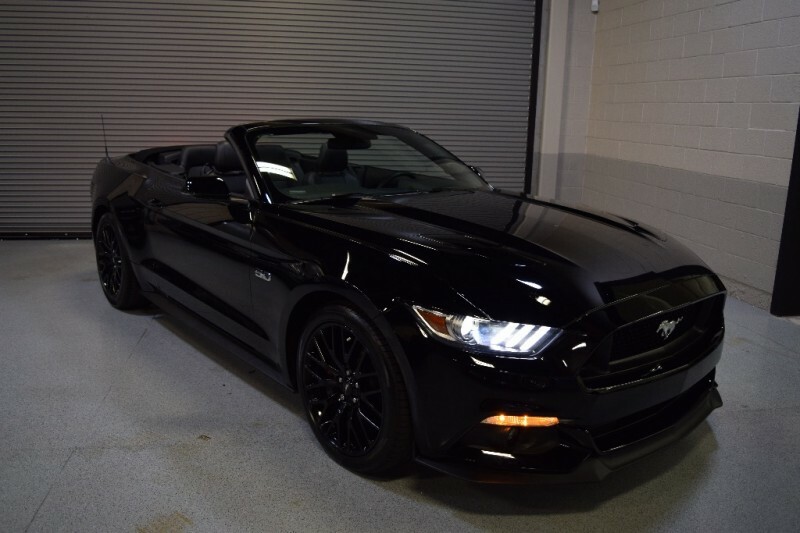 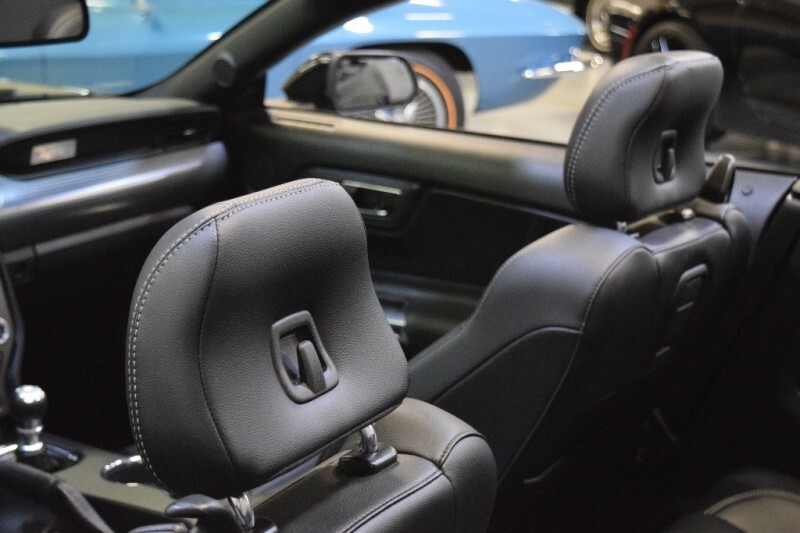 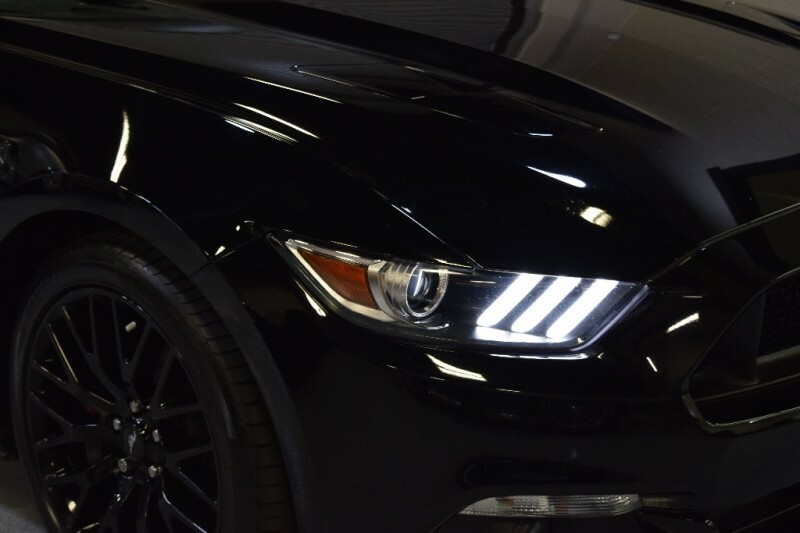 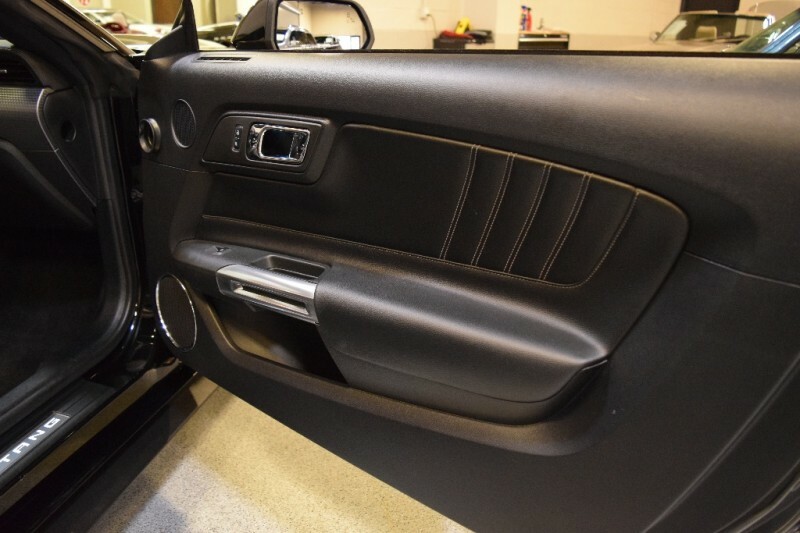 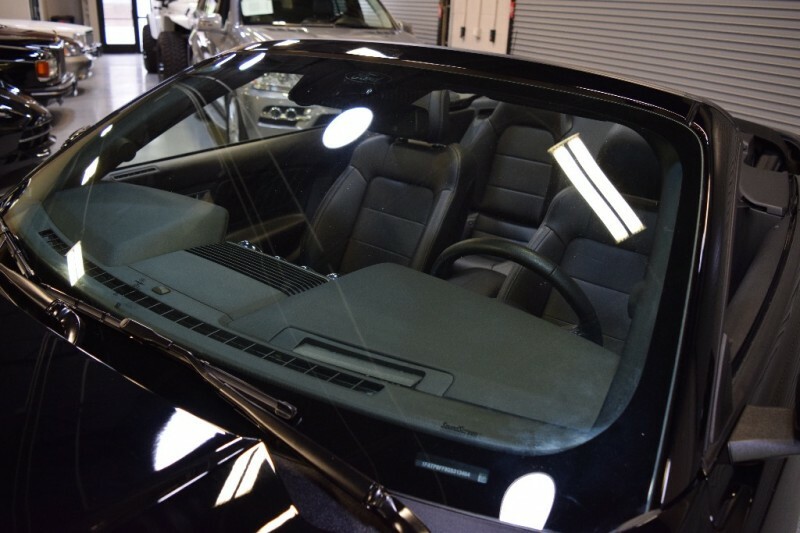 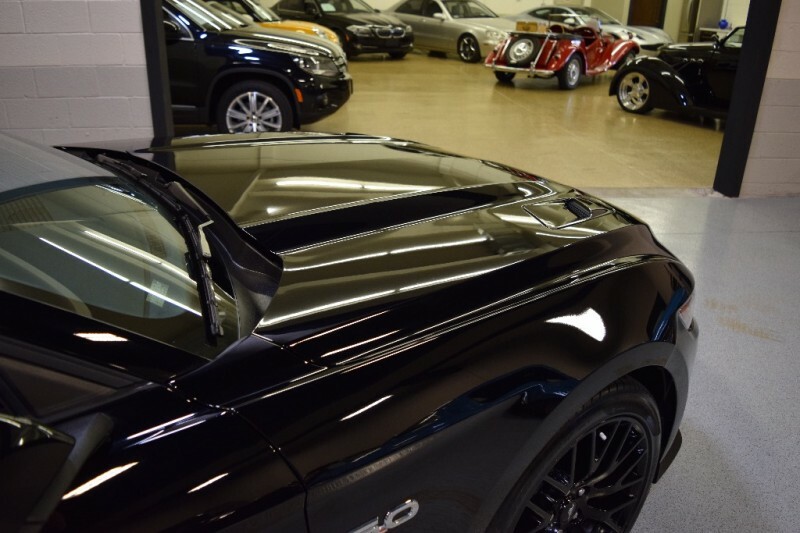 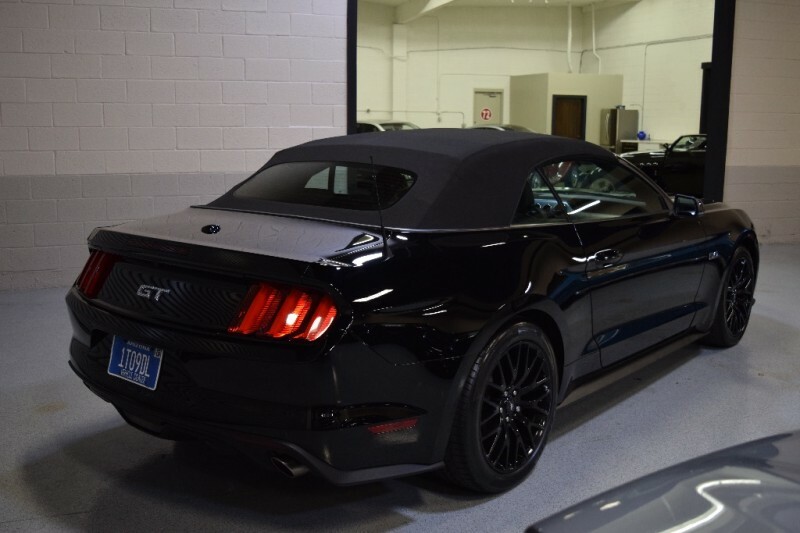 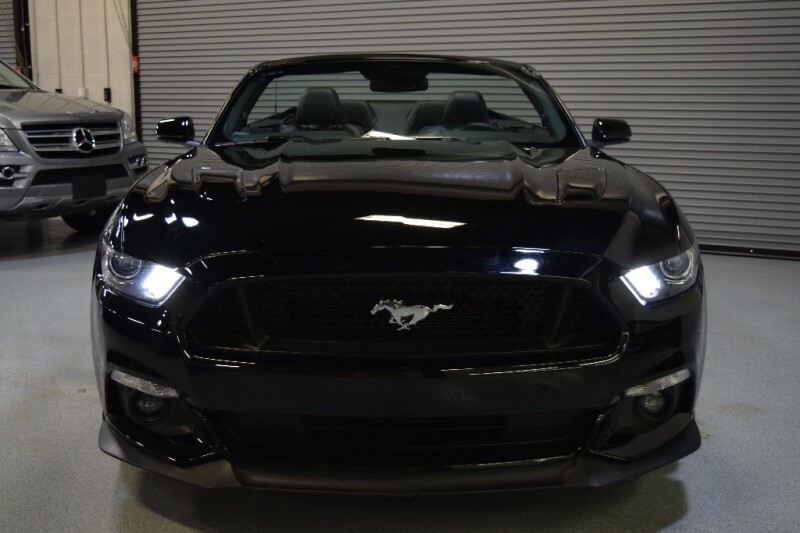 GORGEOUS 2016 Ford Mustang GT Convertible PREMIUM in Shadow Black with Ebony Leather, Black Soft top. 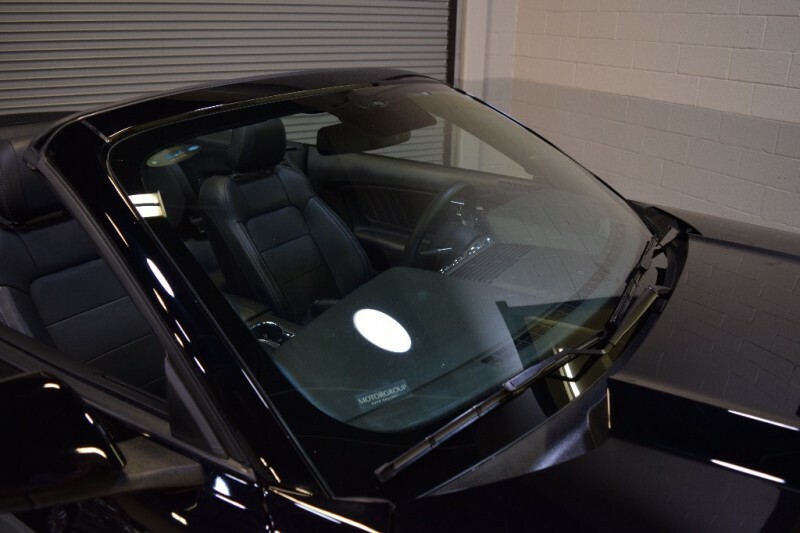 Canadian Delivery when it was new, last owner babied this car, recently relocated to Scottsdale to enjoy the sunshine ! 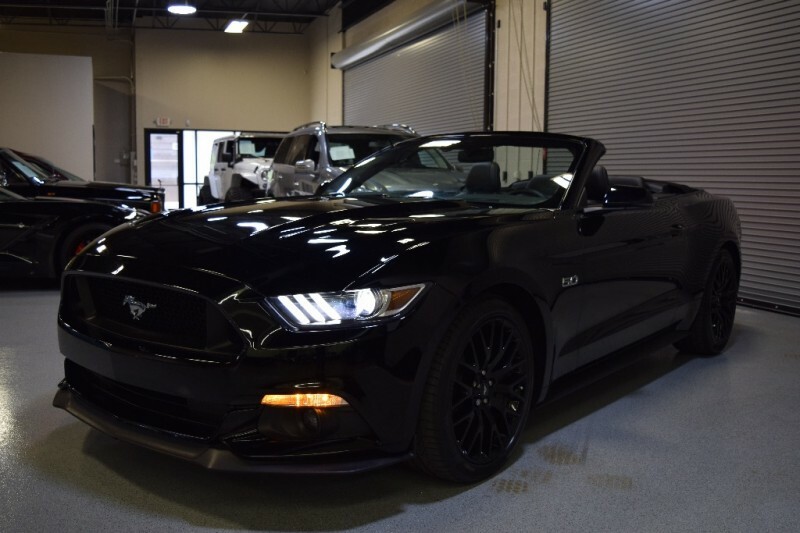 BUY WITH CONFIDENCE Only 14,914 miles from new, still covered by remaining Ford Factory Warranty. 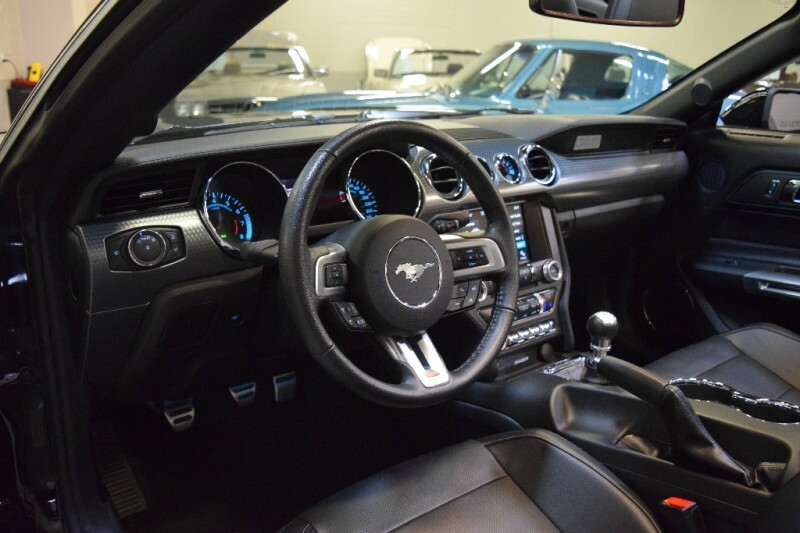 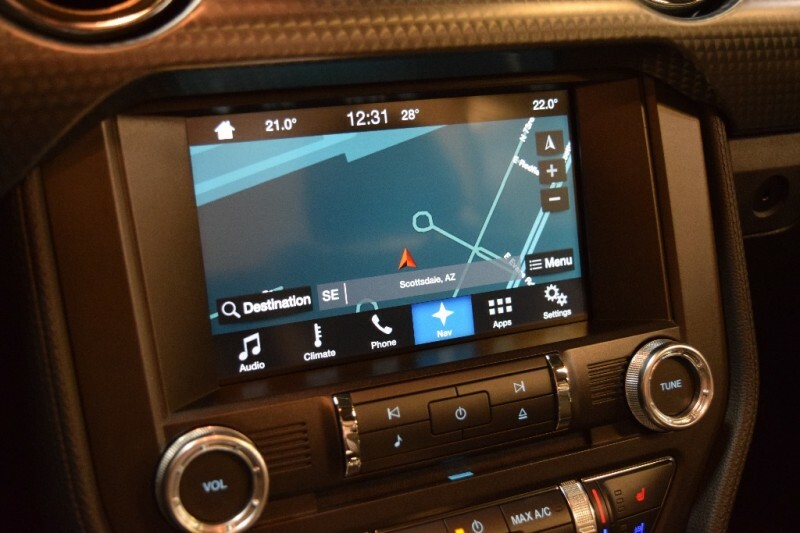 Carfax Certified, Non-Smoker, meticulously maintained, looks like it just rolled off of the showroom floor. 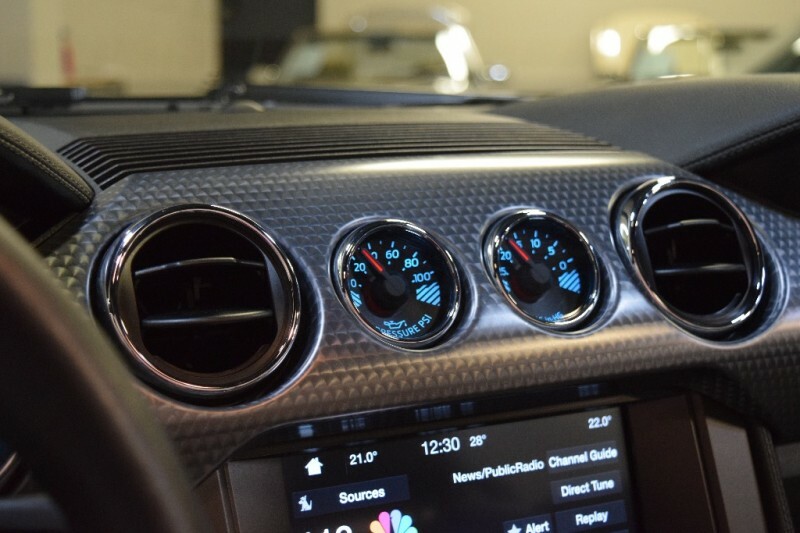 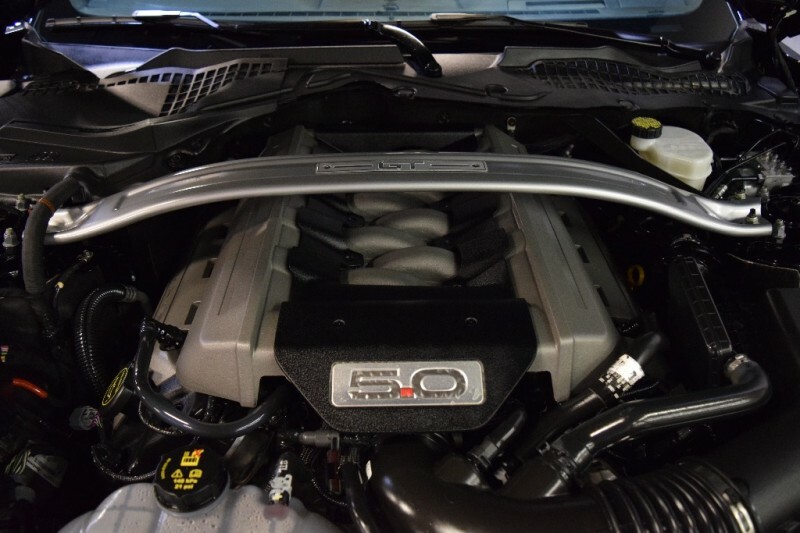 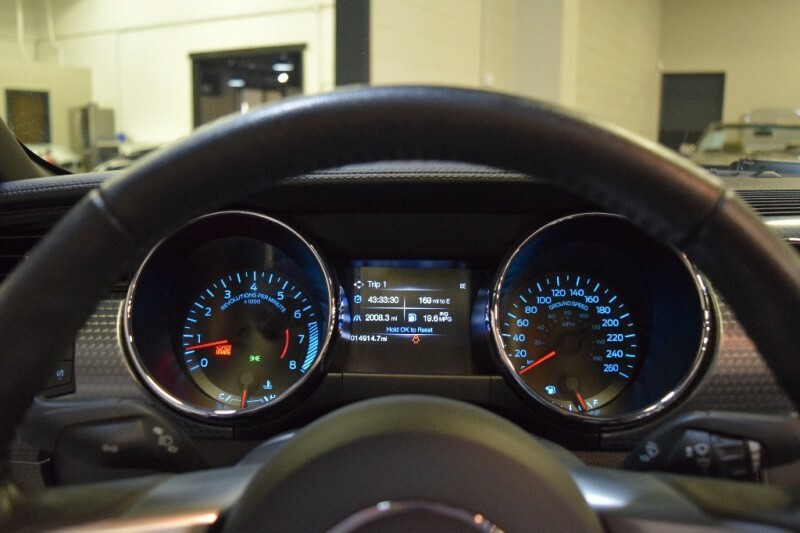 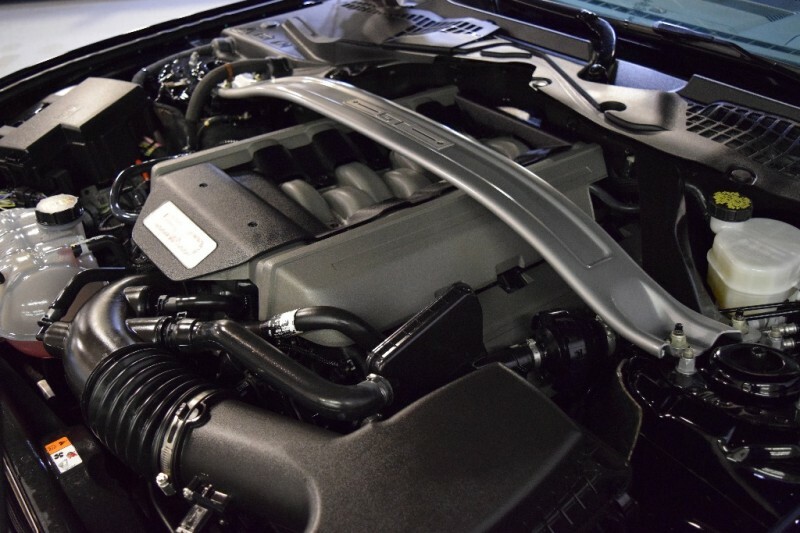 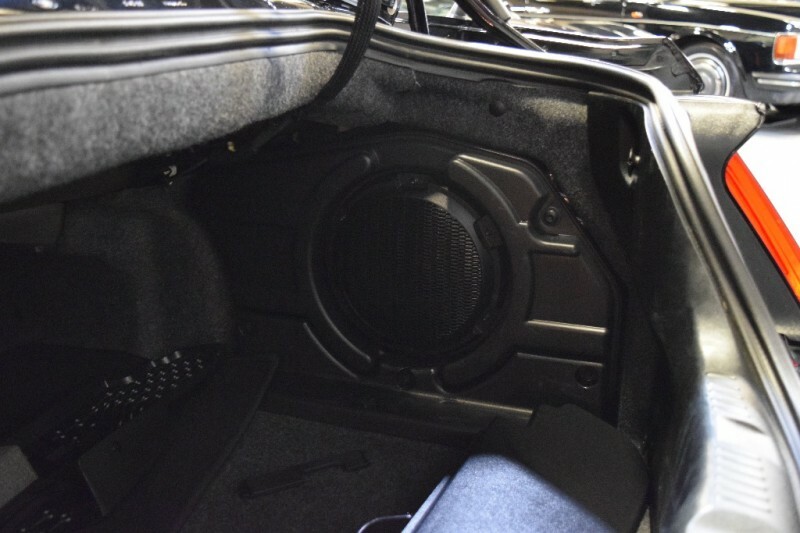 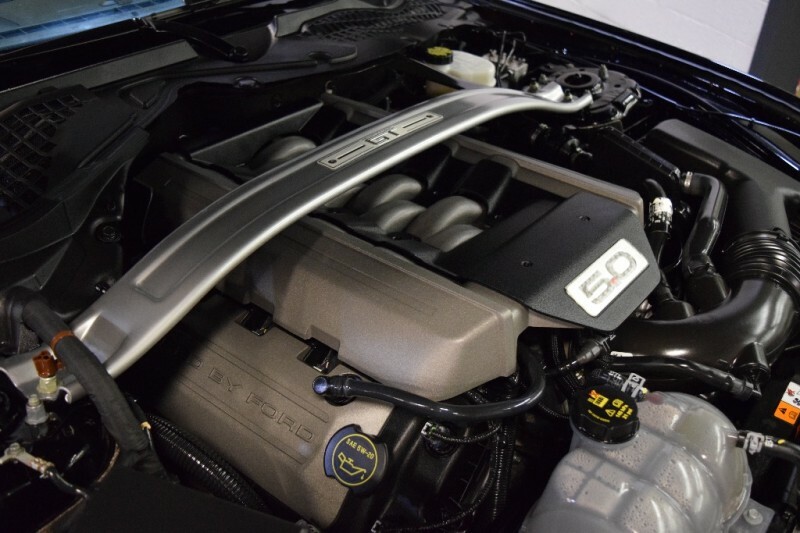 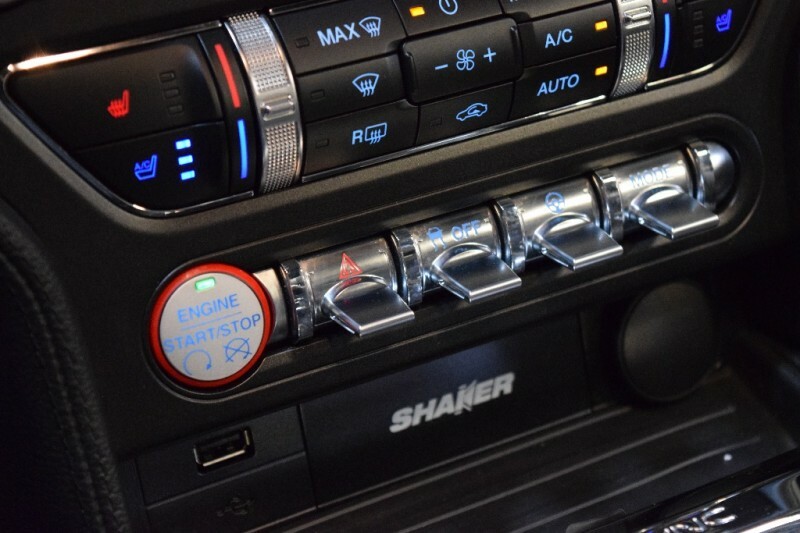 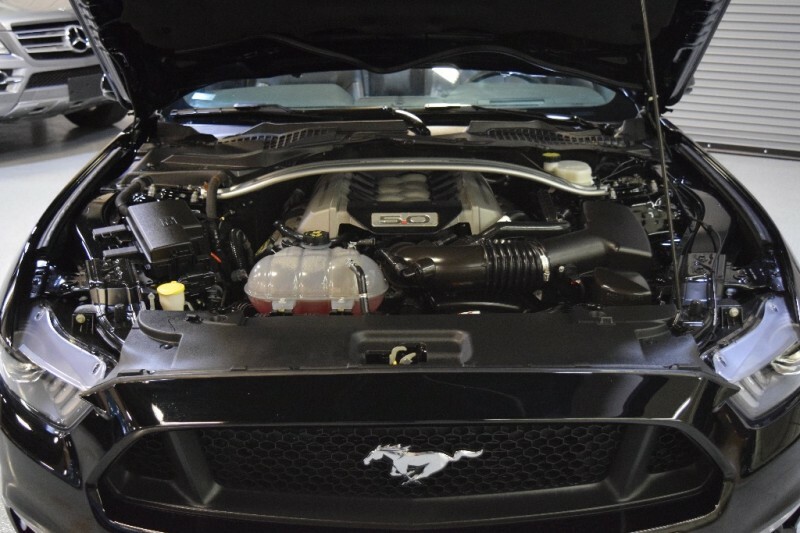 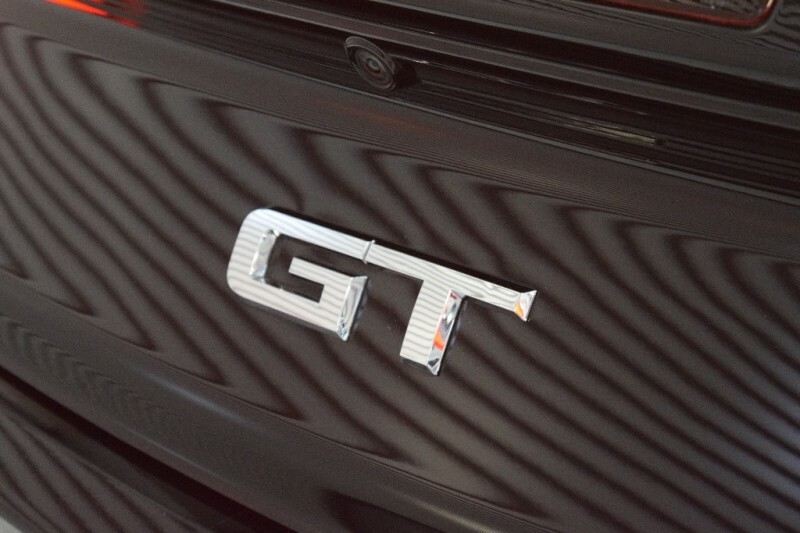 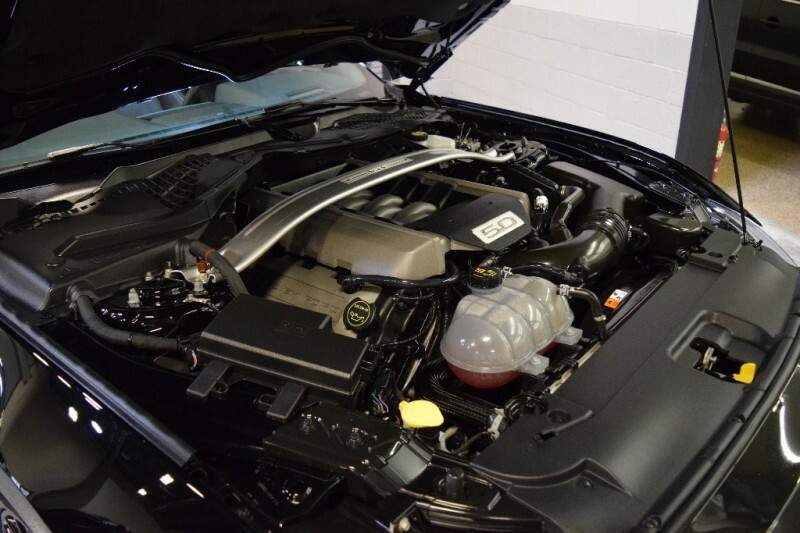 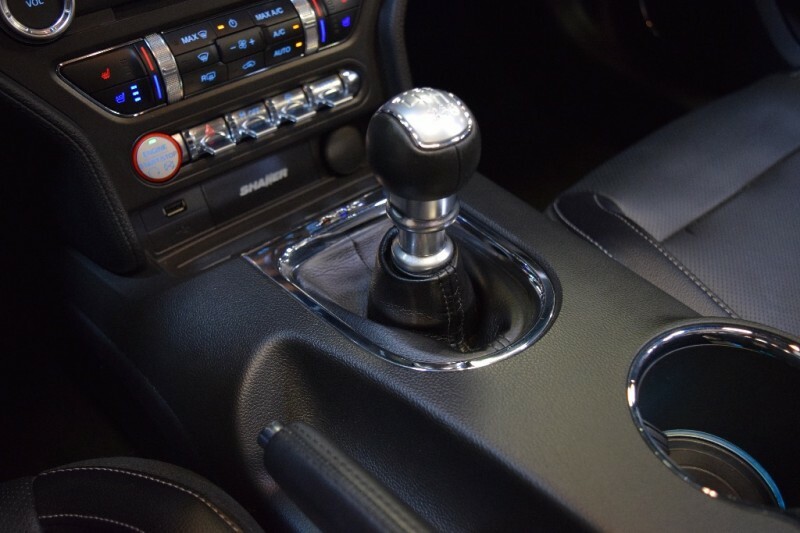 Desirable 5.0L 4v V8 producing 435 hp and 400 lb-ft of torque, with 6 speed manual gearbox and 3.73 Ratio Limited Slip. 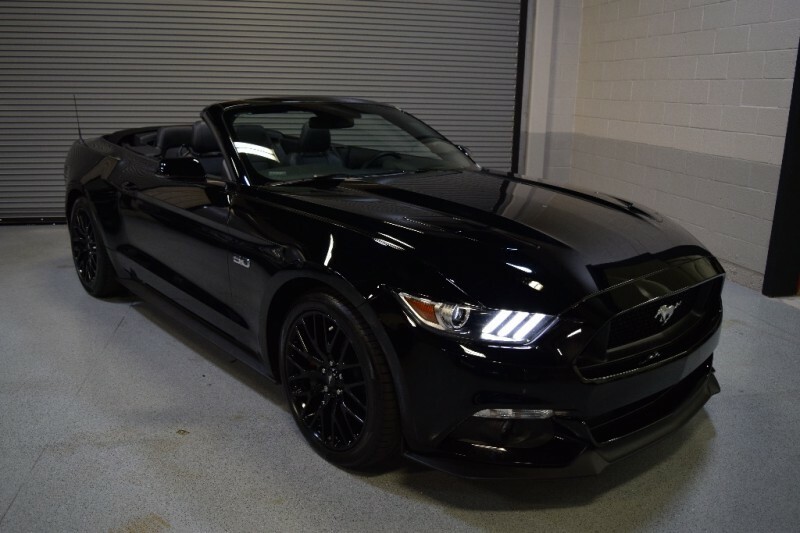 LOADED Pony with all the usual Mustang GT amenities in addition to Equipment Group 401A which includes CD w/Tuner/SDARS/HD 12 Speaker Sound System, Adaptive Speed Control, GT Performance Package with 19 inch Premium Painted Aluminum Wheels, Reverse Park Assist with back up camera, Navigation System with SYNC Voice Activated System, Heated/Cooled Front Seats, Leather Interior, Power Driver Seat with Lumbar, Power Passenger Seat. 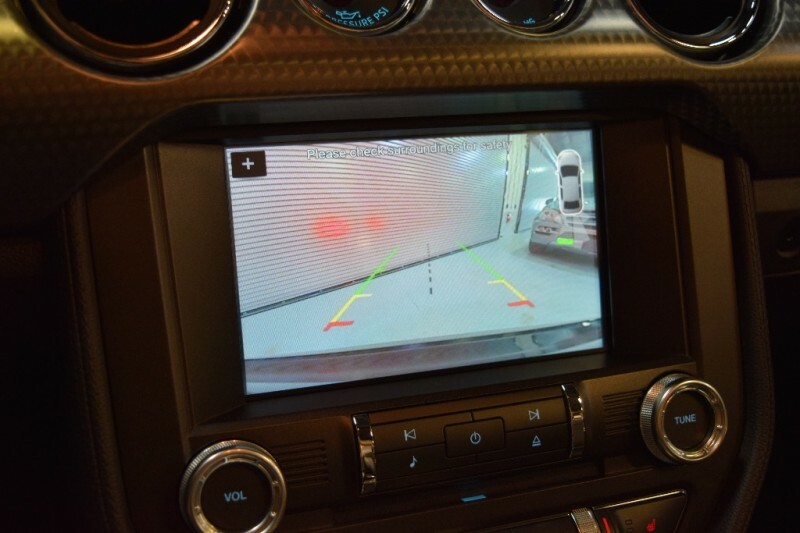 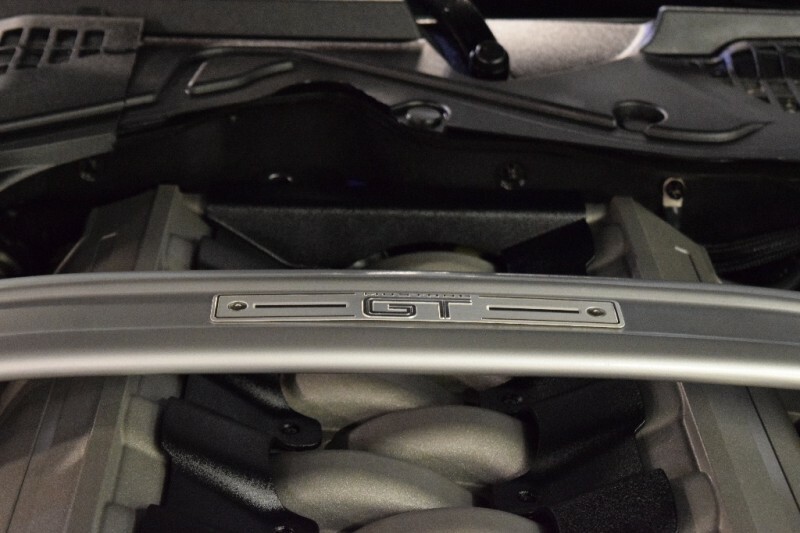 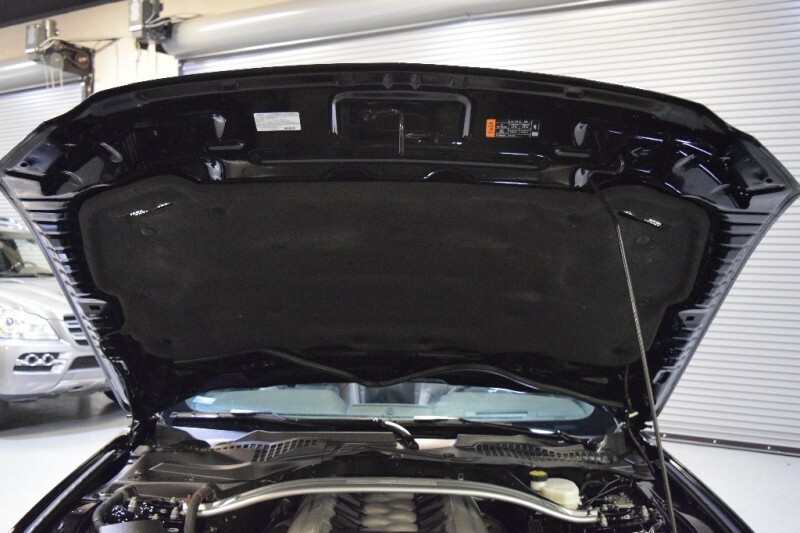 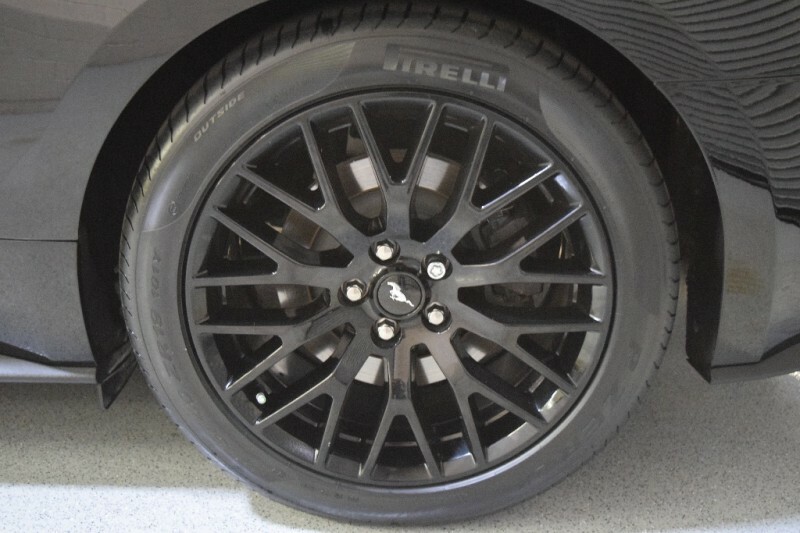 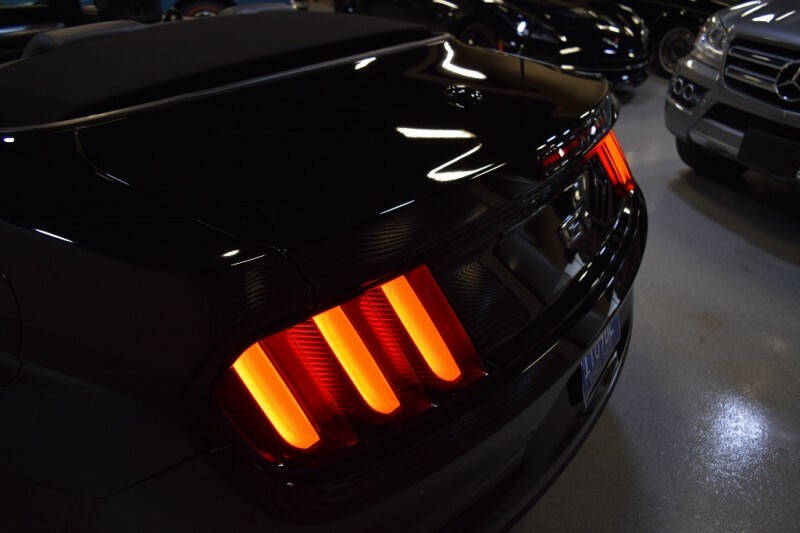 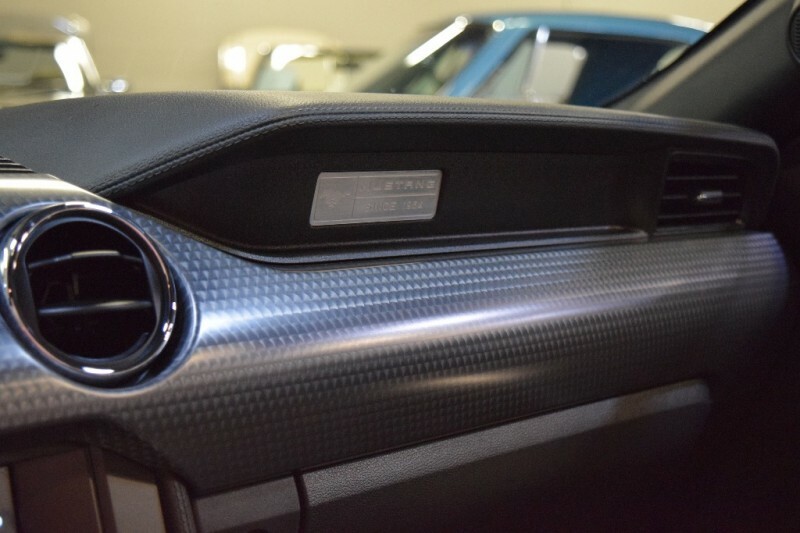 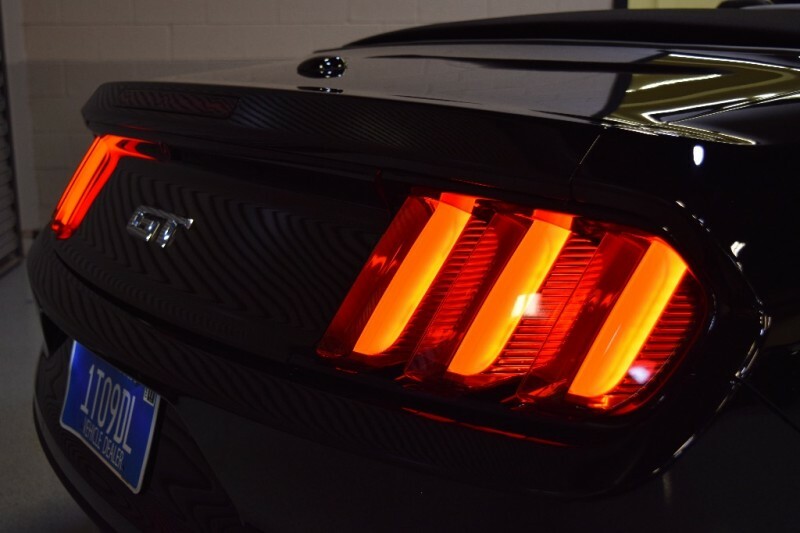 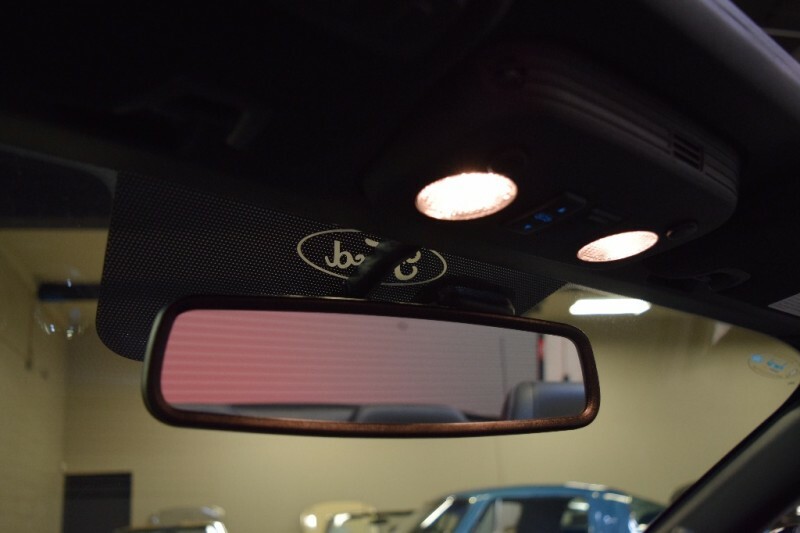 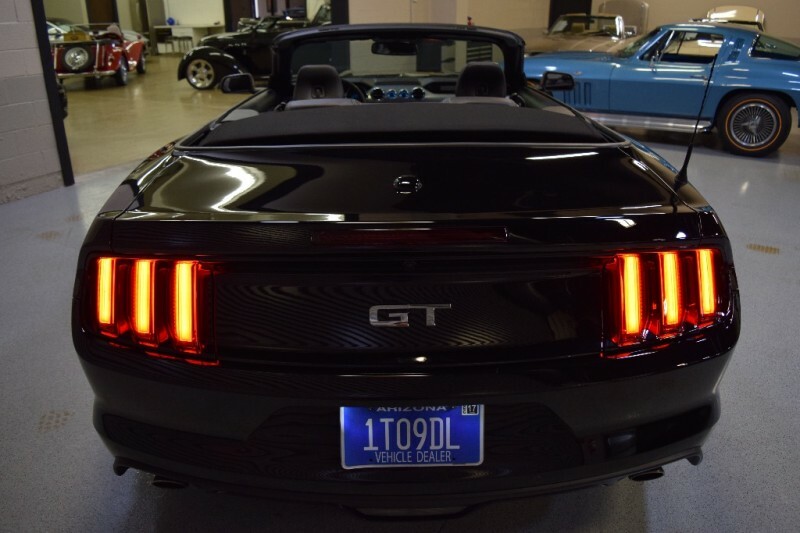 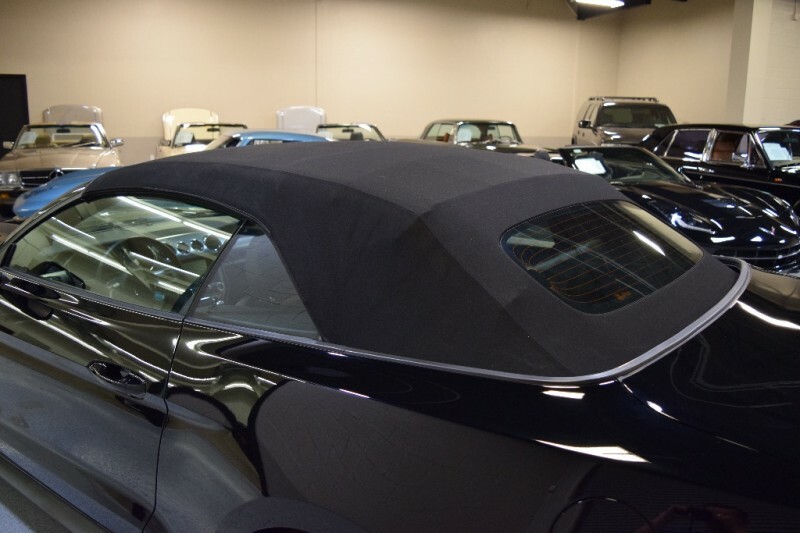 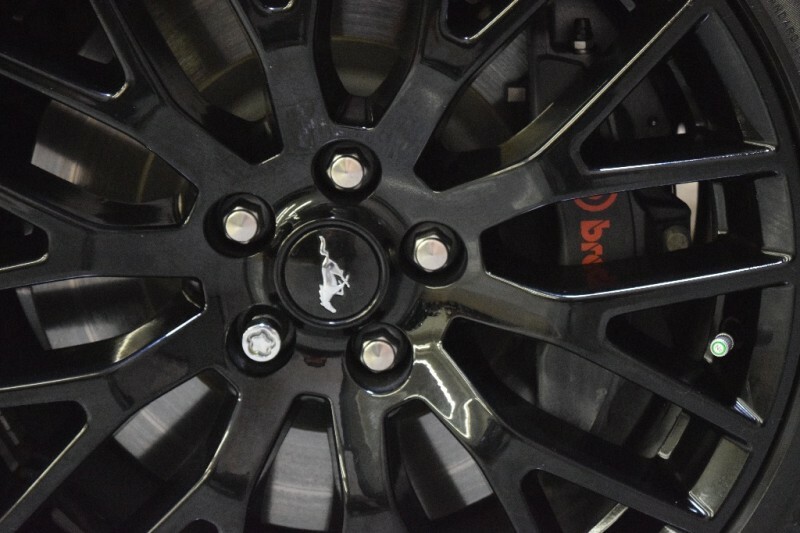 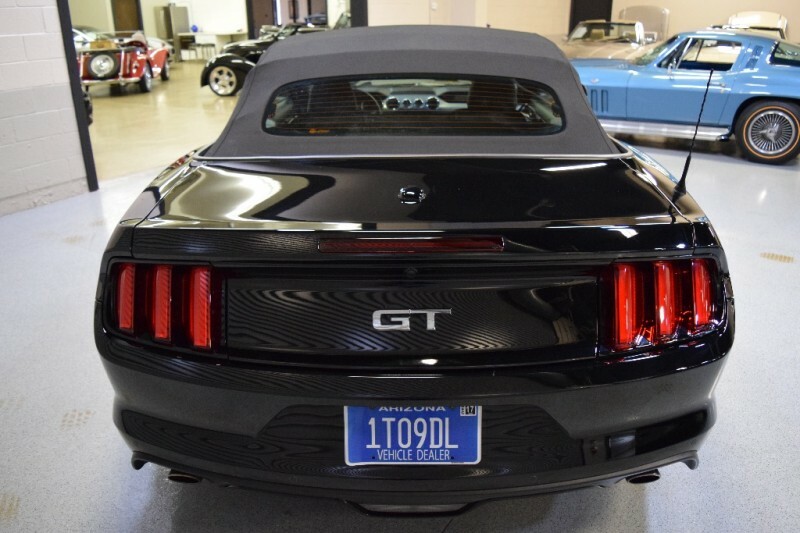 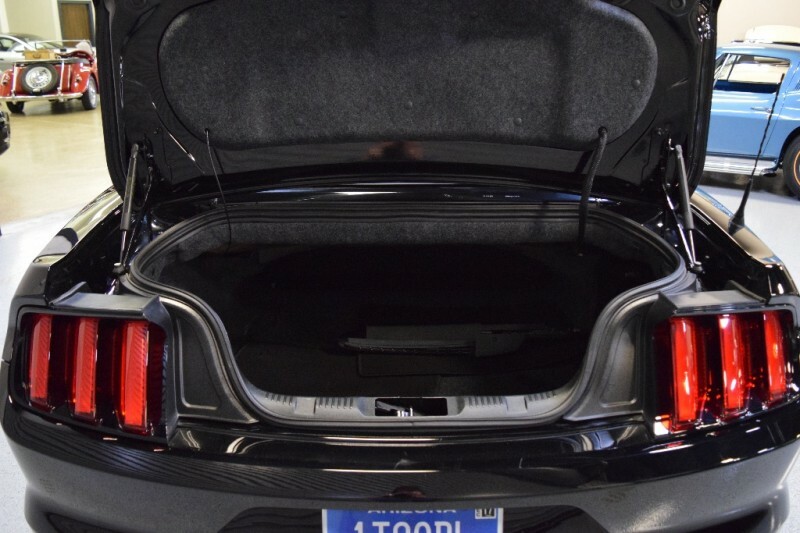 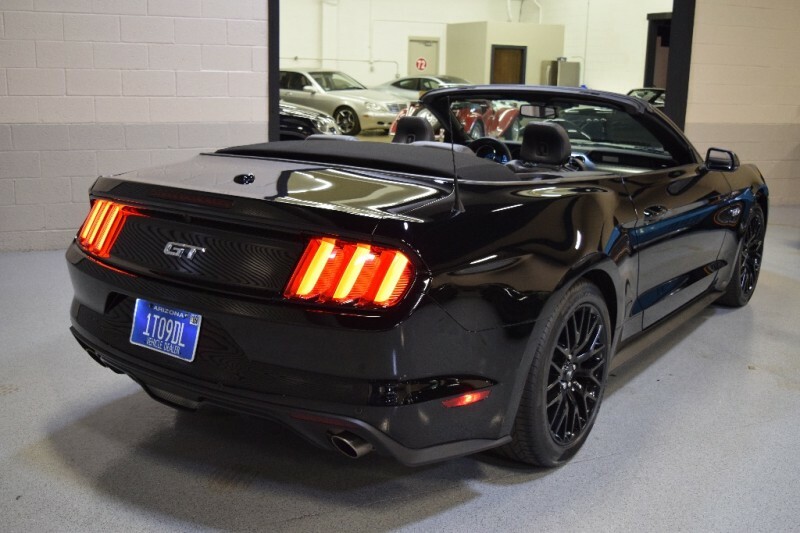 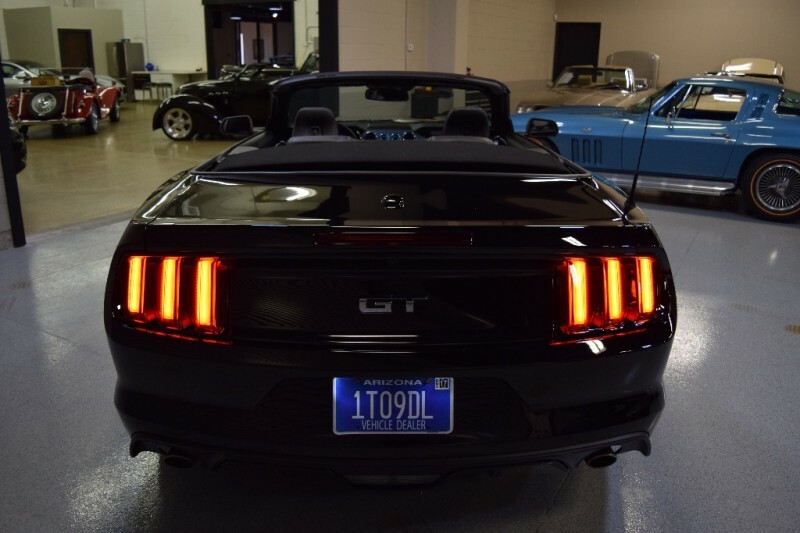 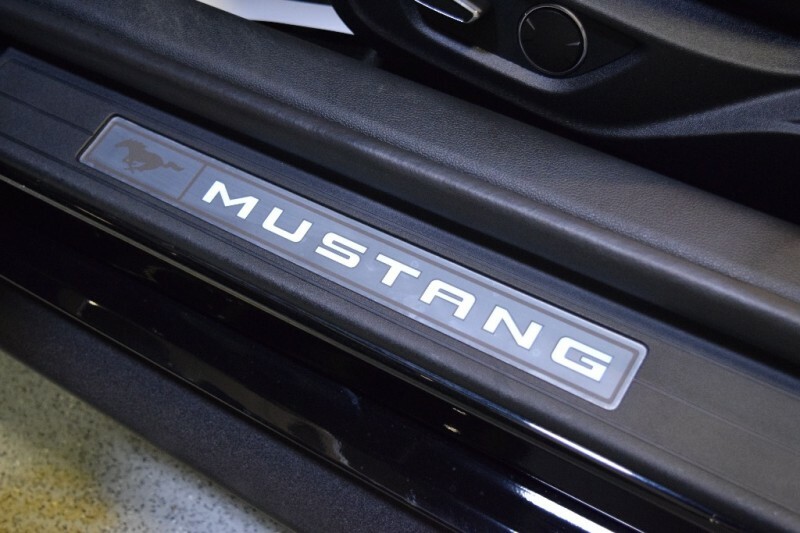 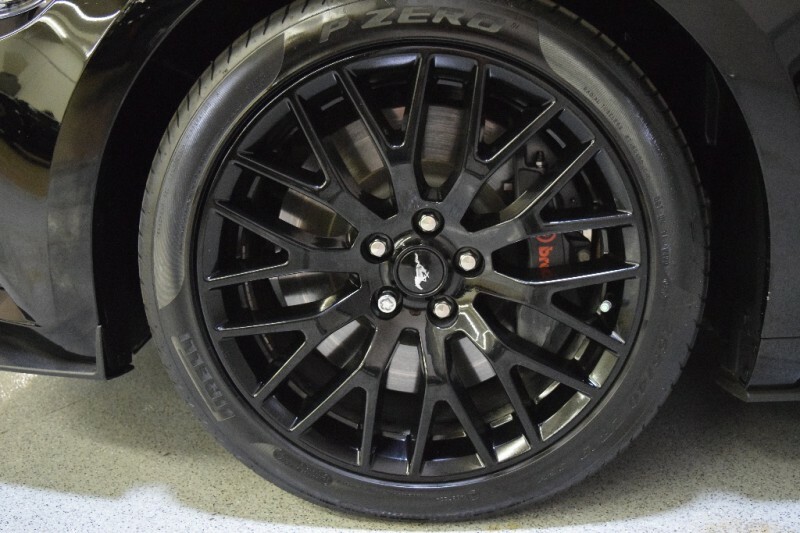 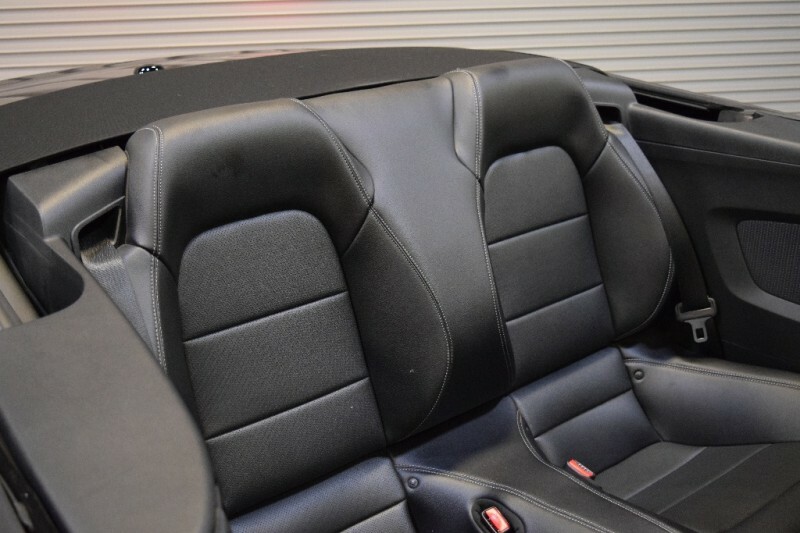 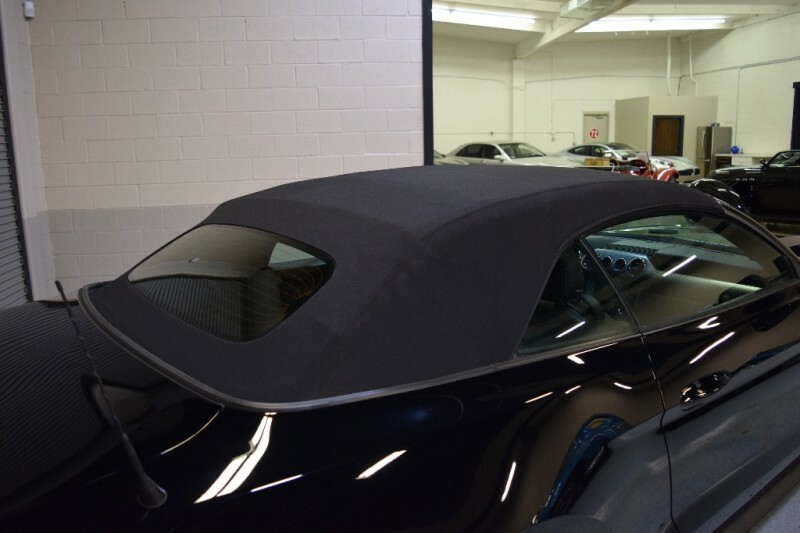 This Mustang is rear spoiler delete, ABS with front Brembos, these cars present an incredible balance of FUN Sports car, all the Tech gadgets you would ever want along with Top Down motoring fun…Has all its books, both remotes, original window sticker...the right one to own ! 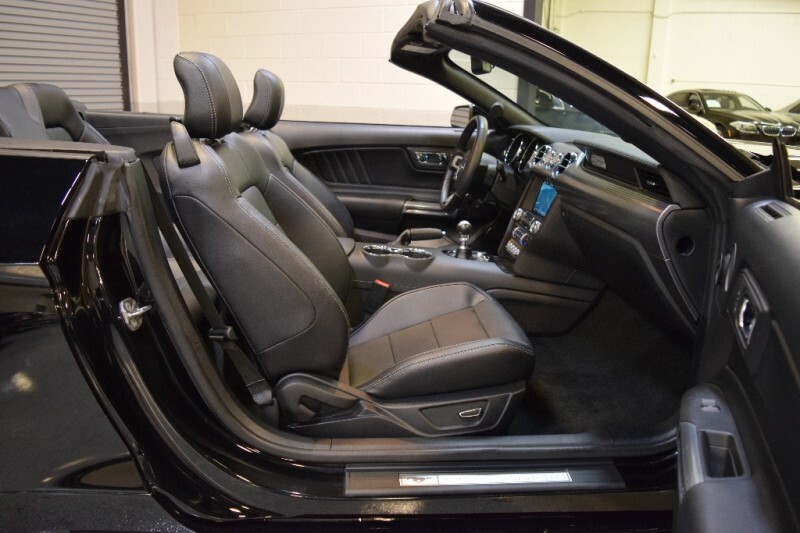 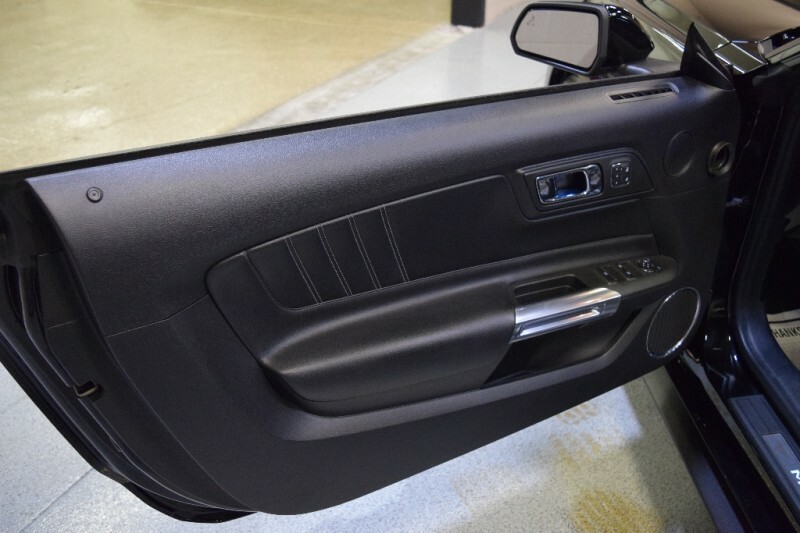 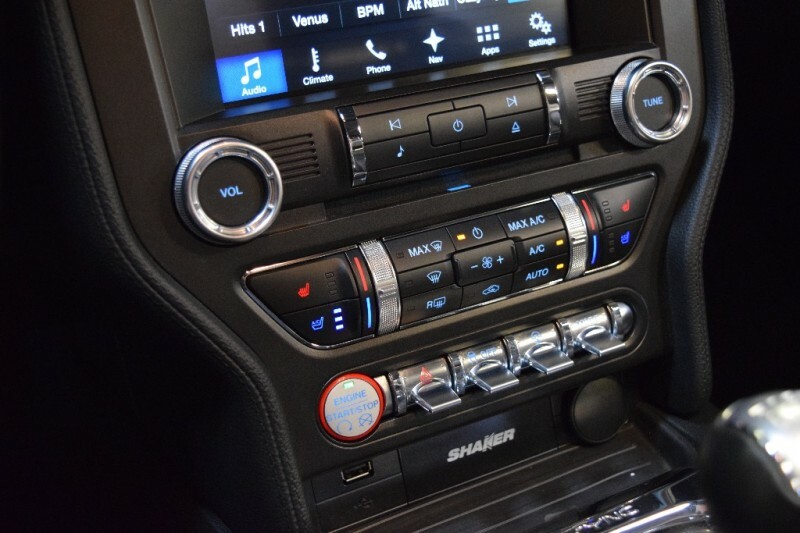 All in, out the door with ZERO Down at $495.01 per month, 3.89% APR, AD Price plus $3,350.50 TT&L, OAC with Member Eligibility through our CUDL Network. 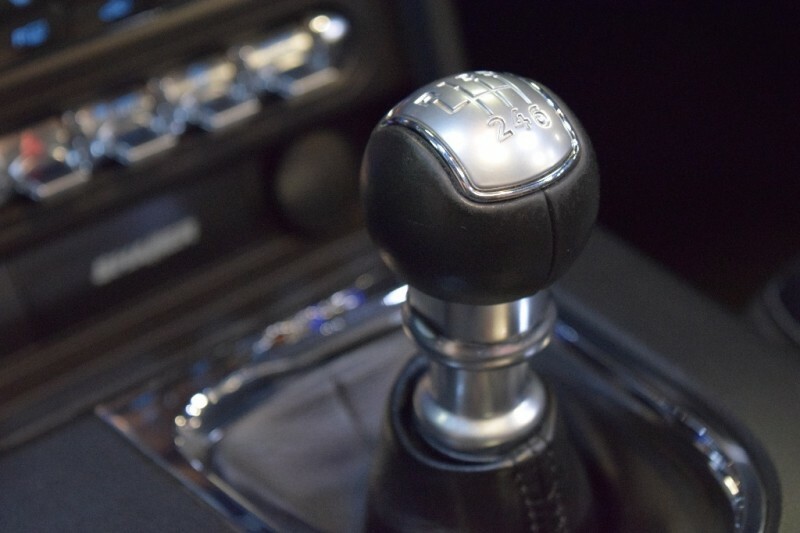 84 month term.